Definitely better, spinning without bandaids. 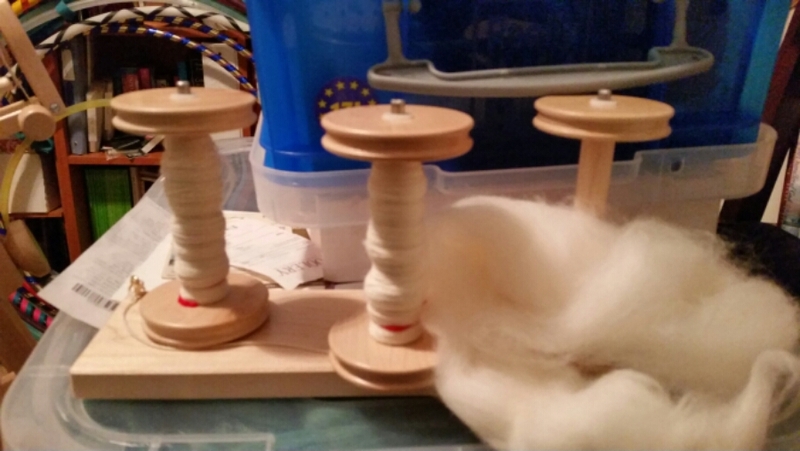 I finished the second bobbin, and have just the one more and I’m all done with the Falklands wool. The chunk on the right side of the picture is the last of it.